interspersed with tall alders and a smattering of cottonwood and aspen trees. 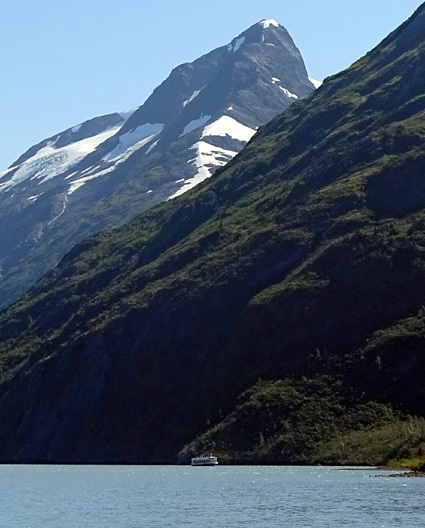 the forest thins out to display views of the rugged cliffs and glacier . . ."
This was another gorgeous day, about the same temps as yesterday (47-73 F.) with no clouds all day, and no breeze. 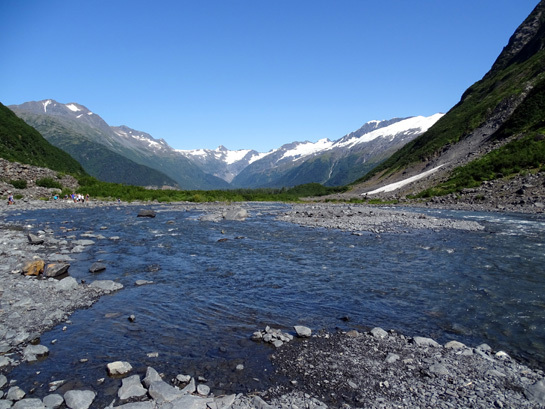 This is such a noticeable difference than when we visited Portage Valley three times in 2012 (June 27, July 15-16, and August 25) and on a day trip from Anchorage earlier this summer ( June 30) to check out Williwaw Campground. Three of those four times it was either raining or mostly cloudy. under snow when we first saw it three years ago. This photo is from today. Sun vs. rain/clouds isn't the only difference. 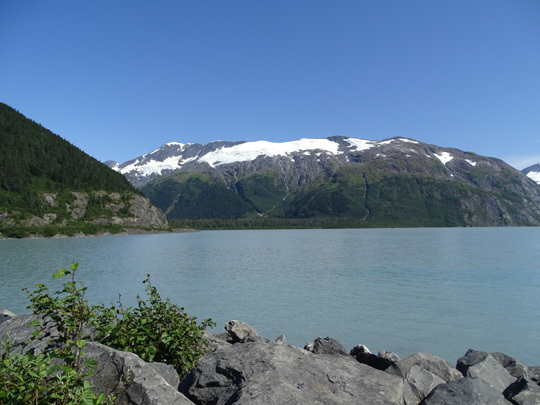 In this entry's photos note the snow levels in 2012 compared to this year. The winter of 2011-12 saw the heaviest snowfall in Southcentral Alaska on record (that's for only the last 60 years or so). In stark contrast, the winter of 2014-15 saw about the least snowfall on record and a very warm spring. 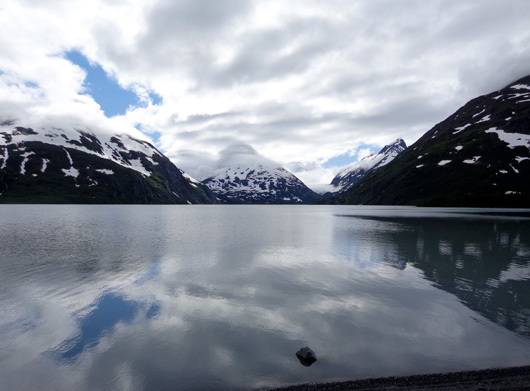 In this entry I'll show "then and now" photos from Portage Lake at the Begich, Boggs National Forest Service visitor center and from two hikes back to nearby Byron Glacier this weekend. 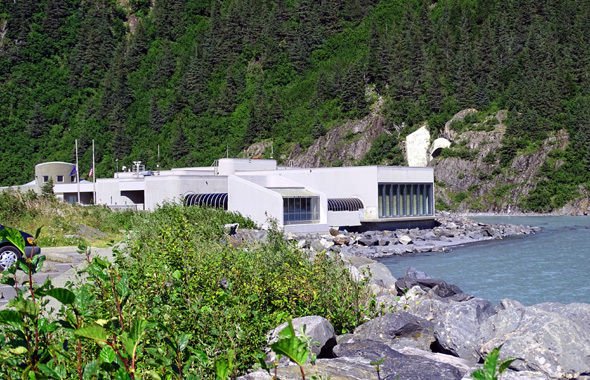 This handsome visitor center, one of the best we've seen in all of our travels around North America, is located about six miles east of the Seward Highway on Portage Valley Road, right on the shore of Portage Lake. 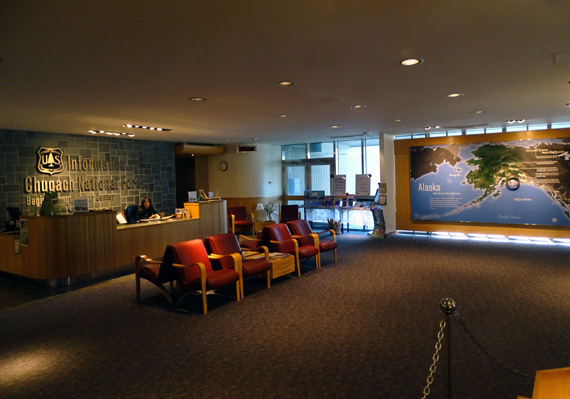 It was the third time we've been inside the visitor center. 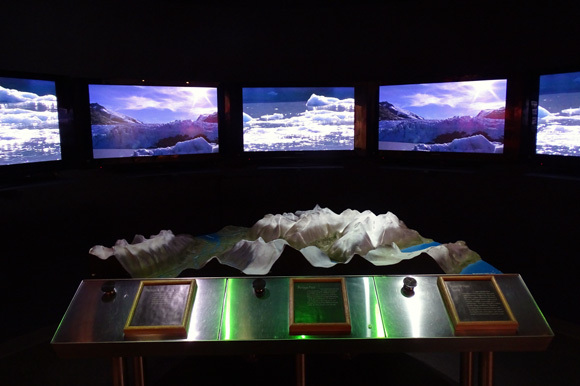 We were impressed enough with it that we visited twice in 2012. Once inside we looked at the exhibits and Alaska Geographic bookstore again and watched the 20-minute film in the large, comfortable theater. 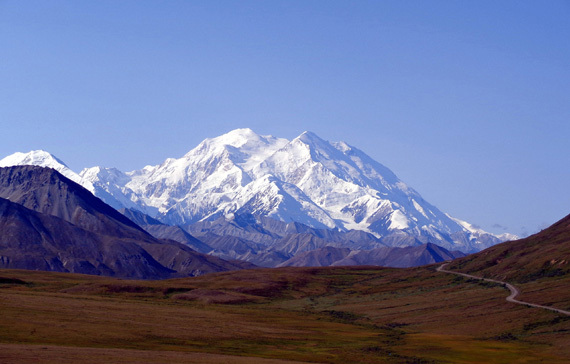 If you have any type of National Parks pass, entry is free. 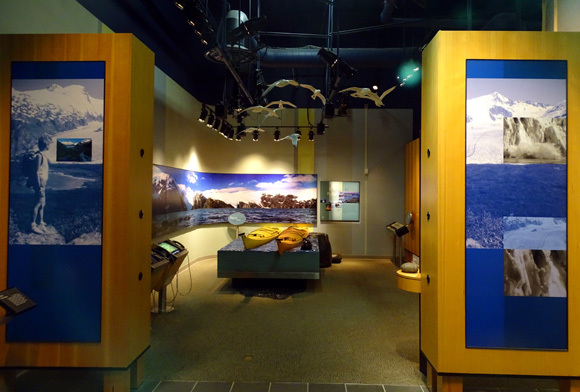 Otherwise there is a nominal fee to see the exhibits and view the movie but you can still enjoy other parts of the visitor center like the bookstore and large windows with a great view to Portage Lake and surrounding glaciers. 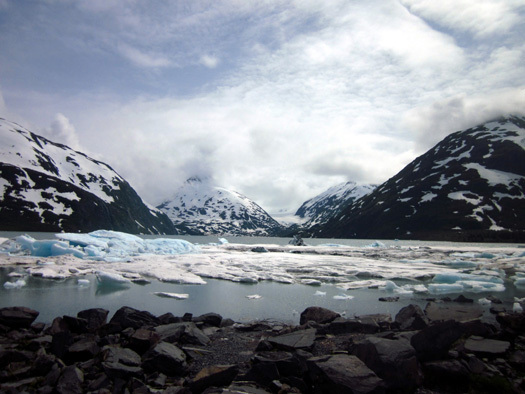 The film is a different one than we saw three years ago -- less science about the Chugach Natl. 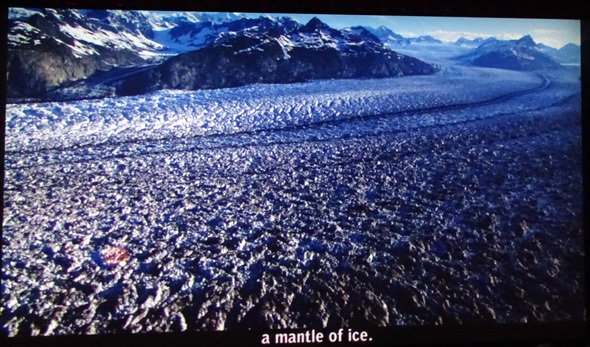 Forest, more about climate change -- but the photos and narration are still good and the surprise ending is still jaw-dropping even though we've seen it before and knew it was coming. That would be fun! 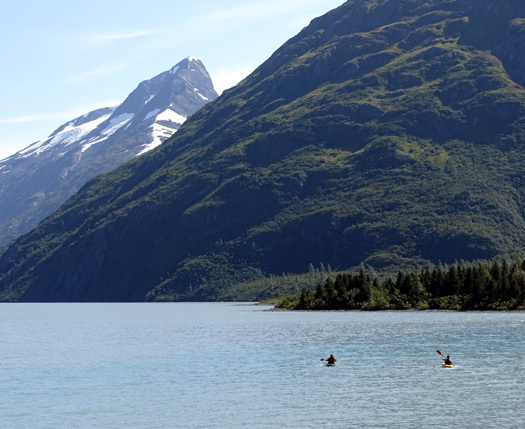 There is another picture below that shows two kayaks on Portage Lake, another fun idea. 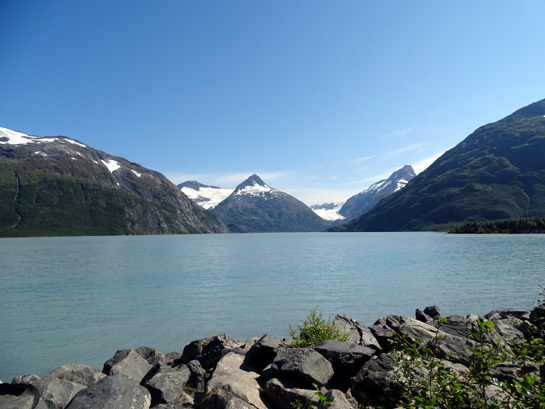 This pretty glacial-blue lake is fed not only by Portage Glacier, which has receded out of view of the visitor center, but also by other glaciers in the valley whose streams feed into it. 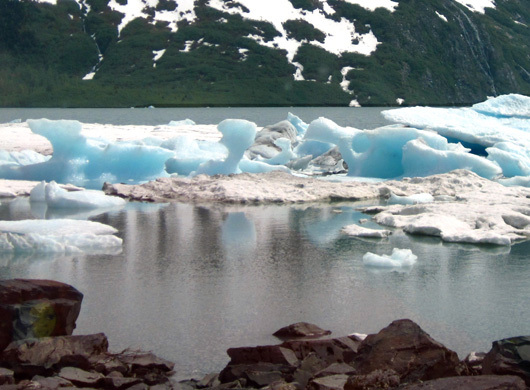 A couple weeks later, when we stayed at Williwaw CG the first time, most of the ice had melted. 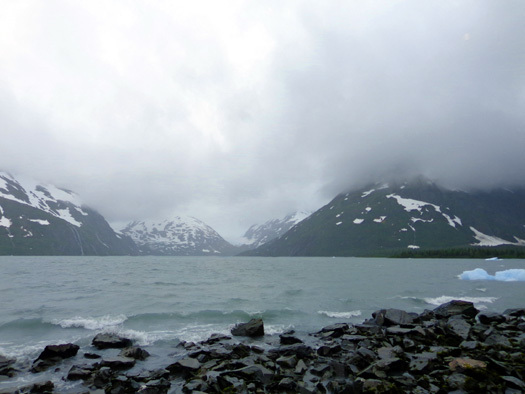 Although the scene was prettier the last time we saw it that July, the low clouds still obscured the mountains and glaciers. 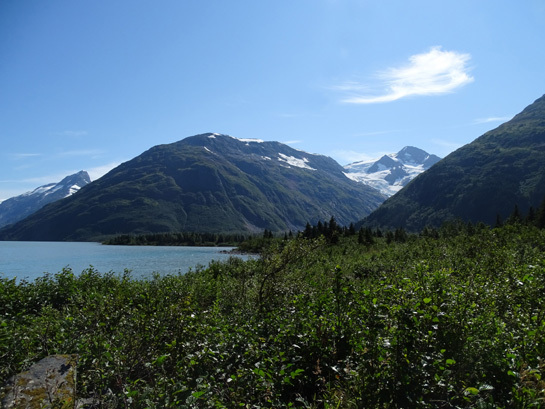 When we went down to Portage Valley on a day trip at the end of August three years ago we hiked back to Byron Glacier. I didn't get any photos of the lake that time. 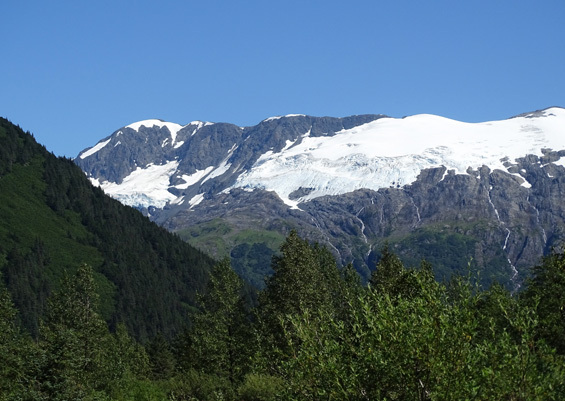 The snow level on the surrounding mountains was lower then but not as low as it is now in early August of 2015. 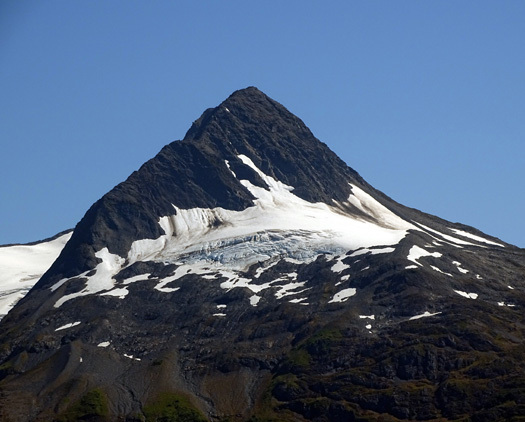 Yesterday and today there were no icebergs and no clouds to obstruct the views of the mountaintops. The snow coverage is obviously much less, too. 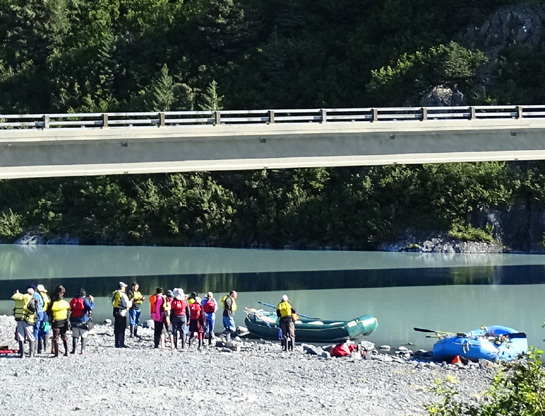 passengers back an inlet to see what remains of Portage Glacier. 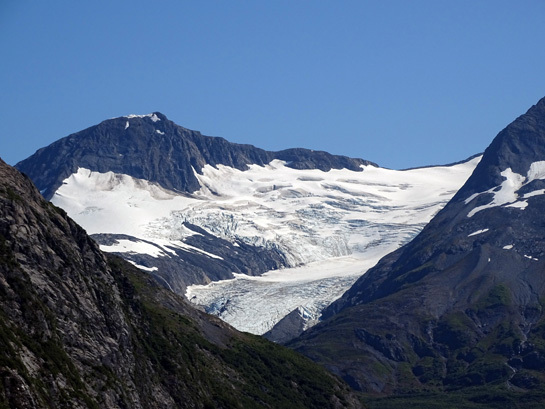 Byron Glacier is visible in the background, right. 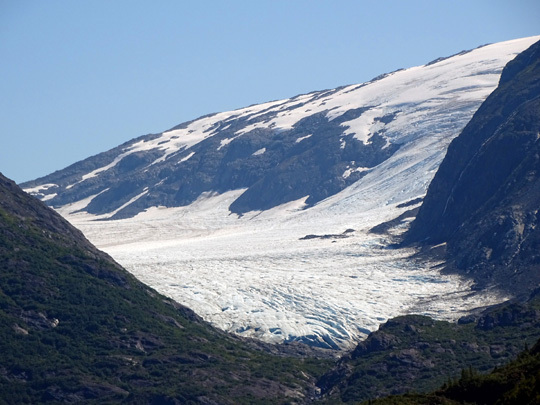 Let's go get a closer look at Byron Glacier!